Before we should start with free VPN’s and its disadvantages let’s come to the beginning of VPN i.e. what is a VPN and what it actually does? Virtual Private Network, commonly known as VPN, is a network connection using which one can browse the web securely and anonymously. The reason why VPN’s have become popular these days is that they allow users to get access to content/websites which are blocked in their location. Virtual Private Networks (VPN’s) generally are of 2 types: free and paid. Now, most of you before buying a paid VPN will think why to pay for a service when it is available for free and then will go for free VPN. Here’s where you are making a mistake. With free VPN’s you will have to compromise with your data, security and most importantly, your privacy. If a Virtual Private Network can’t guarantee your privacy, what’s its use? So, what we suggest is you should go for paid VPN’s as they offer a better product than a free VPN. 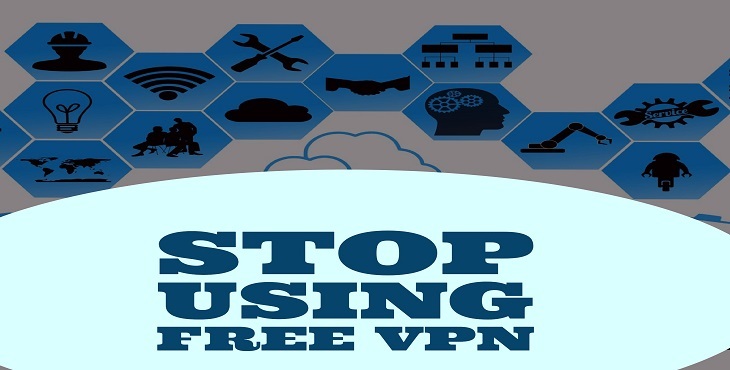 Further, below guide will tell you why should you stop using a free VPN. With free VPN’s your data is not safe. Yes, you heard it right. We know one of the reasons for using VPN is they are supposed to privately guard your data. But free VPN’s don’t do that. They stop ISP’s (Internet Service Provider) from viewing what you are doing online, by routing your data through their servers. But, here is the point. They route your data through their servers and see what all you’re doing online. You become their biggest source of income. The free VPN provider has to make money after all. You might have heard the phrase, there is nothing like a free lunch. The majority of websites make money using advertising revenue. But there is a difference between ads on normal websites and ads on free VPN’s. The Virtual Proxy Network use third-party advertisers & they are unique to your proxy session. The result of this is ultimately you get a slow page loading time. I hope with these points I have got you to think twice before using a free VPN. If you are convinced with the above points, then I suggest you go for the paid one. This was all about why you should use free VPN’s. If you loved this article & feel it is informative enough, then share it with your followers on Facebook, Google+, and Twitter. Informative Post, Thanks for sharing With Us. Keep Writing Post Like this.